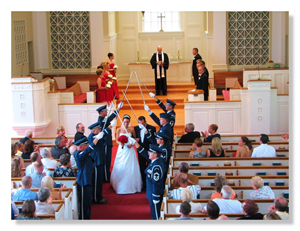 Christian weddings are an Important ministry at First Congregational. You said “yes.” You’ve thanked God you found each other. You’ve told family and friends, and now you’re ready to get married. The promise of a lifetime awaits you: the promise of “I do” and your future as partners in the marriage relationship. Finding the right place to exchange your sacred vows is among the first decisions you’ll make together as you plan your wedding. Friends and family may show their excitement by offering ideas for your celebration—but ultimately, we’re here to help fulfill what’s most important to you, the happy couple. 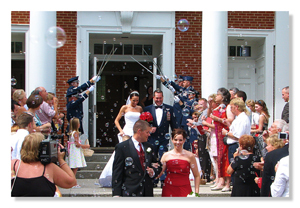 We have a lot to offer, not only on your wedding day, but also for your entire wedded life. So here’s our proposal: Would you allow us the honor of partnering with you to plan your wedding day and to lay the foundation for a marriage that fulfills the promise of a lifetime? You need not be a member of our church to have your wedding with us. 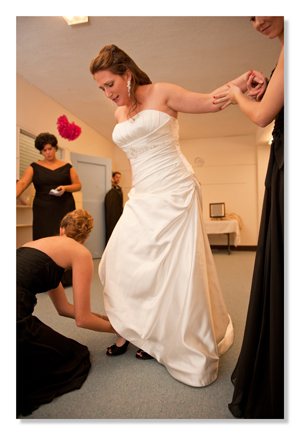 Around a general traditional order of service, we will discuss with you what you would like your wedding to be like. It is your special day. We are here to serve you in that celebration and make it a memorable Christian wedding. Chapel available for more intimate Weddings. 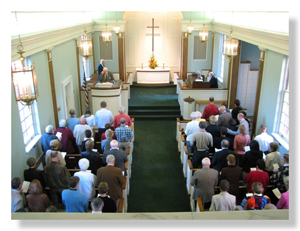 The FCC Chapel is adjacent to the Sanctuary and is ideal for a smaller, more intimate ceremony. It seats 75 guests and is fully equipped with organ and sound system. 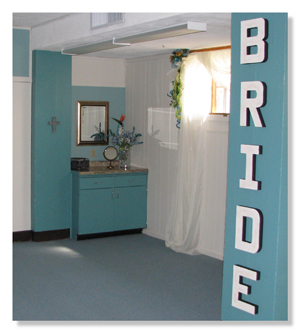 First Congregational provides a full dressing room for the Bride and her attendants, as well as separate facilities for the groom's party.